* question whether punk deserves its reputation as an anti-fascist, anti-sexist movement which opened up opportunities for women musicians and fans alike. * trace punks long-lasting influence on comics, literature, art and cinema as well as music and fashion, from films such as Sid and Nancy and The Great Rock n Roll Swindle to work by contemporary artists such as Gavin Turk and Sarah Lucas. * discuss the role played by such key figures as Johnny Rotten, Richard Hell, Malcolm McClaren, Mark E. Smith and Viv Albertine. 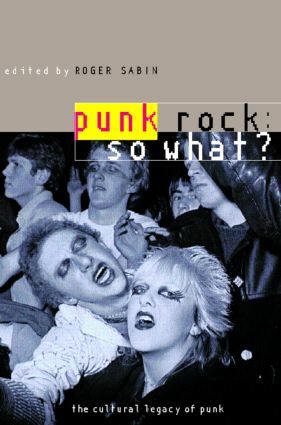 Punk Rock Revisited kicks over the statues of many established beliefs about the meaning of punk, concluding that, if anything, punk was more culturally significant than anybody has yet suggested, but perhaps for different reasons.